Choose one of our shiny-finished 5 gallon galvanized tubs for an organization tool to last a lifetime! With a reinforced rim, body swedges, and an offset bottom, these tubs resist weather and rust. Use this 5 gallon galvanized bucket to keep warm socks, gloves, and hats by the door for your kids, or store car-washing supplies in the basement. No matter what, these tubs will organize your home for years to come. Constructed for use indoor or out. 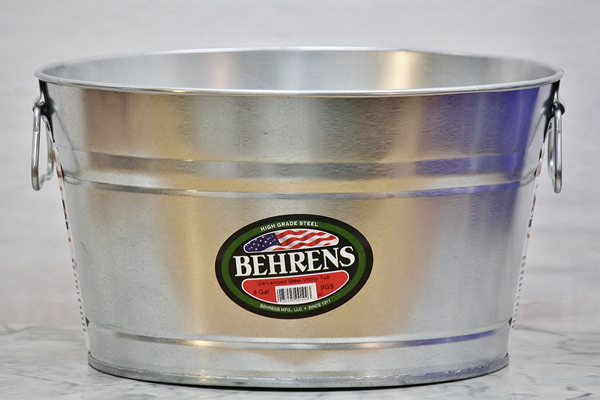 Slightly smaller 4 gallon galvanized buckets are available in galvanized metal and 16 colors.